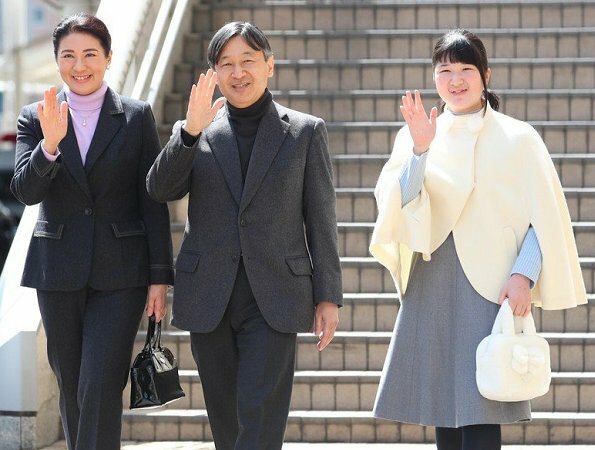 On March 26, 2019, Japan's Crown Prince Naruhito, Crown Princess Masako and their daughter Princess Aiko went to Nagano Prefecture for their traditional annual spring holiday. Nearly 380 people welcomed the Crown Prince Family at JR Nagano train station. The family had a chat with local people for a while. The family will stay in the North region of the state for a couple of days. Masako looks lovely in this classic pantsuit. What a gentle smile she has. The teenager has grown into a lovely girl. 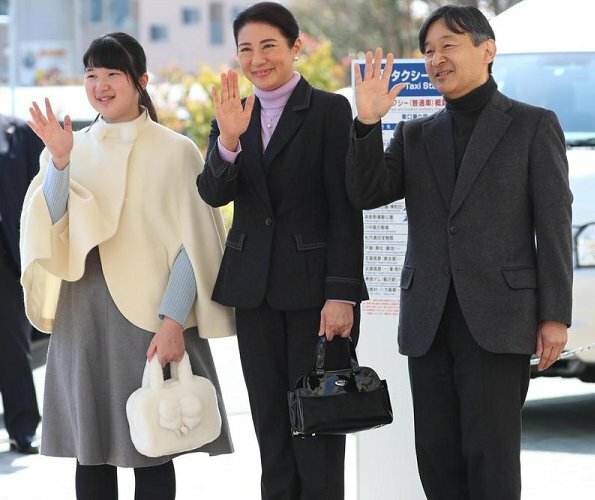 Prince Naruhito and the crown Princess look distinguished and stylish and Masako's hairdo is becoming and lovely, but ¿why is Princess Aiko dressed in so shapeless garments? Masako looks lovely. The suit is impeccably tailored. Love this family. The future Empress looks very nice so does Pss Aiko, she sure has really grown a lot.